Home BOLLYWOOD Vicky Kaushal Receives A Tremendous Response From Fans All Over The Nation! Vicky Kaushal is receiving a great response from his fans with a lot of videos recreating his new song Challa from the film Uri. As we all know that Vicky Kaushal is a new rage in the audience and we have seen Vicky actively interacting with his fans on social media. The Uri actor has appealed his fans to recreate his new song and he promised to give a shoutout to his fans on his official Instagram account. After receiving a lot of videos, Vicky gave a shoutout to his fans and he posted their videos as he promised to them. Challa showcases the hardships and the training they go through so that they guard our country. The video shows Vicky Kushal training in order to prepare for the surgical strike. Uri is Vicky Kaushal’s most anticipated film of this year and just before the release, Vicky has witnessed so much love among his fans. The response is a good sign of having chatter around the film. 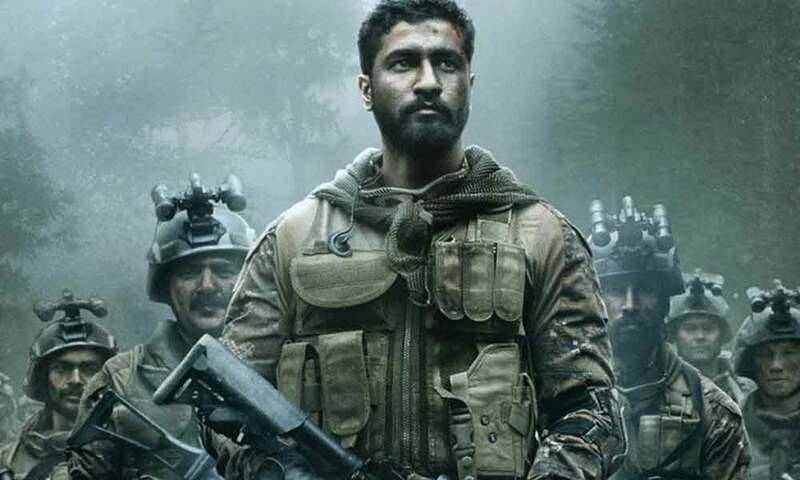 ‘Uri – The Surgical Strike’ is all set to release in just a few days and the film has marked as the most anticipated film of 2019. Uri showcases the operation initiated by the Indian Army in retaliation to the terrorist attack in Uri, during which 19 Indian soldiers were killed. URI is one of the most anticipated films and it is the first film of Bollywood to release on 11th January 2019.